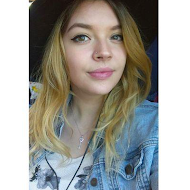 I'm pretty excited because this is my first haul post aaand also the first time I bought something from Topshop - can you believe that?! 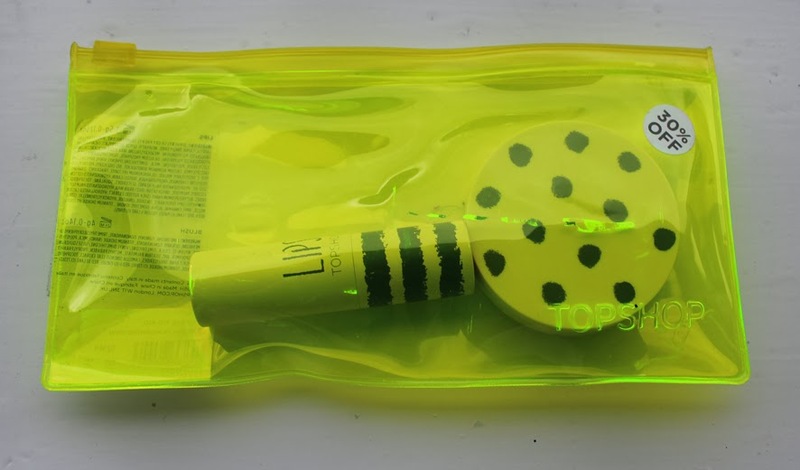 First I got this cute make up pouch which I had my eye on since it came out before christmas! 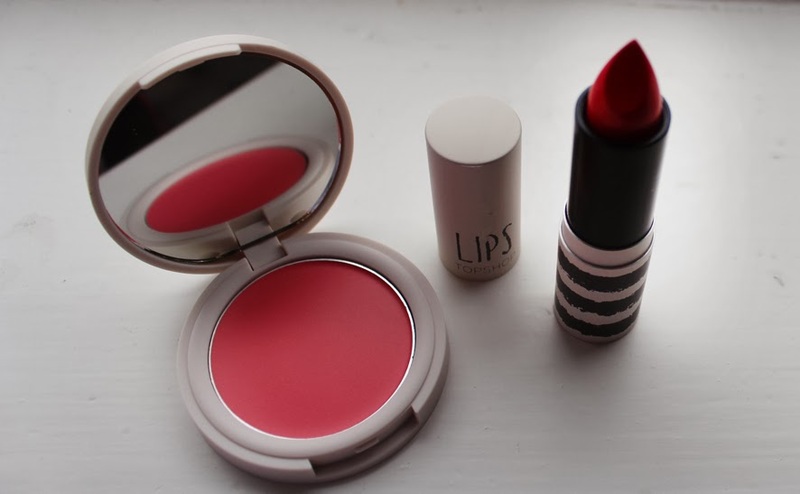 It contains a beautiful cream blush in the colour "Morning Dew" which is a cute and wearable pink. The lipstick i got is called "Rio Rio" and the colour is really vibrant red and I think I wouldn't wear it on a daily basis but definitely for a night out! The pouch was 30% off and I only payed £8,40 instead of £12. 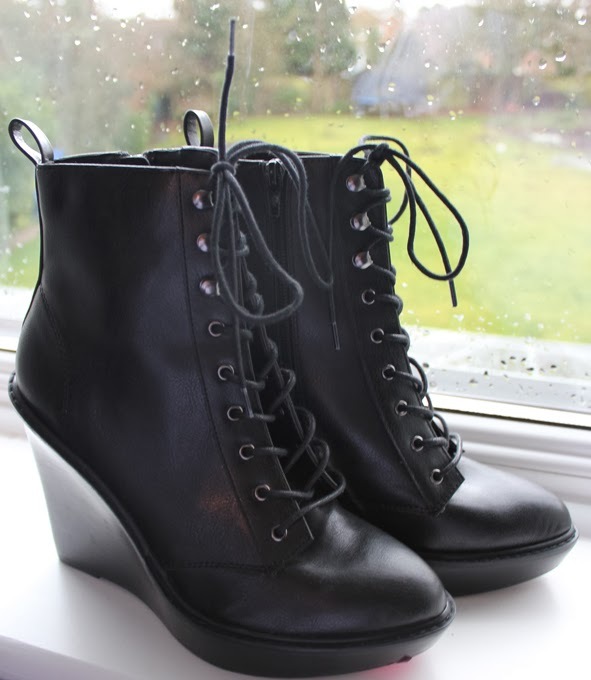 And the item I'm most excited about is this pair of black lace up wedge boots! I didn't think I would like them at first but when I tried them on I fell in love! They have quite a high heel but it's not too bad because of the wedge. I think they would look lovely combined with a pair of jeans, a nice top and a leather jacket. And they were only £15 instead of £75! They also remind me of Doc Martens but more chic and girly! Let me know what you think of my picks! Also: tell me what some of your favourite Topshop buys are! The make-up set was so cheap. I wish my Topshop did a bigger sale section. 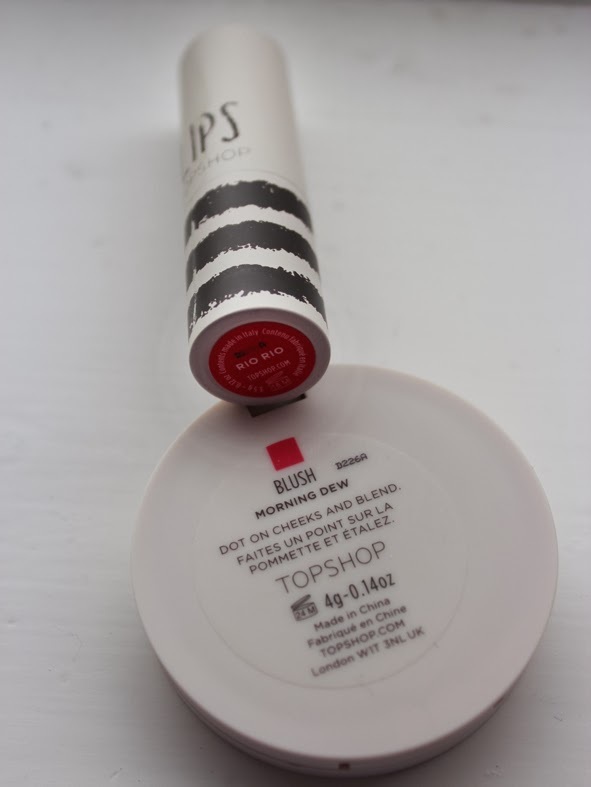 I've never tried Topshop makeup but i really should, i feel like i'm missing out! Looks like you got some bargains! So do I haha but I still wanted to try something new!